I read this article and found it very interesting, thought it might be something for you. The article is called A Year After Demonetisation: Small Retailers Report Further Losses But Support BJP and is located at https://archive.indiaspend.com/cover-story/a-year-after-demonetisation-small-retailers-report-further-losses-but-support-bjp-74234. Lalita Yogesh Patil, 31, in her shop, Tanish kirana store, in Vishwabharti Phata village, in Thane district. Since demonetisation a year ago, her store has been in losses of 50% and more, Patil said. It has been a year since India announced the scrapping of Rs 1,000 and Rs 500 notes–86% of India’s currency in circulation, by value, at the time. Four months and eight days ago, a new Goods and Services Tax (GST) regime was introduced. The government claimed that both policy actions were aimed at cleaning up the economy, modernising payment systems, and setting India on a path of prosperity. “We used to earn Rs 10,000-12,000 a month a year ago, now it’s down to Rs 5,000-6,000. 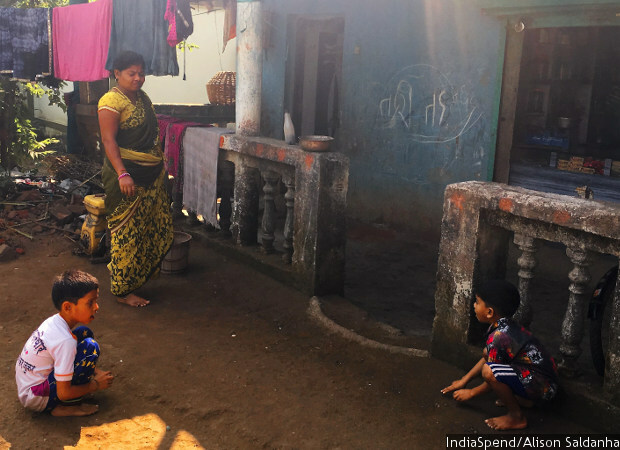 After household expenses and what is needed to send the children to school–pens, books, etc.–we are left with practically nothing,” Patil told IndiaSpend on October 30, 2017. At the time of demonetisation, the Prime Minister of India, Narendra Modi of the Bhartiya Janata Party (BJP), had promised the situation would return to business-as-usual in 50 days. 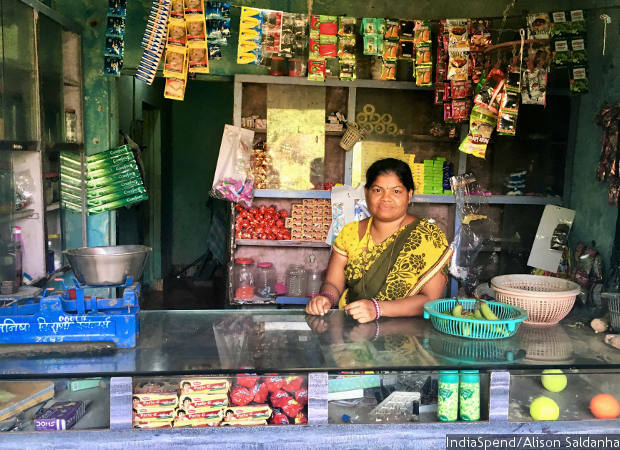 On days 54 and 55, IndiaSpend visited and reported from 24 corner shops in Mumbai and semi-urban, peri-urban and rural areas north of Mumbai about the impact of demonetisation on small retail stores. Patil was one of the 19 shopkeepers who had reported losses of 50% or more. A year after demonetisation, IndiaSpend returned to the 24 stores to check if the situation has improved (we were able to track down and speak to 17 store owners, the others either having relocated or being unavailable at the time of our visit). Largely, they said, the situation has not improved. The owners of 14 stores said their stores were still running losses. During our last visit (in January 2017), 13 stores had reported losses. Among these 14, owners of 12 stores said their losses were higher than 50%, and eight said business was now worse than 10 months ago. All shopkeepers said GST had made goods more expensive, reduced business and customer walk-ins, but their estimates for business lost ranged between 10% and 50%. None of the store owners said business was better than before November 8, 2016. All shopkeepers said fewer customers wanted to pay through cashless modes, so fewer shopkeepers have invested in non-cash payment infrastructure such as card swipe machines. Support for the BJP among kirana store owners remains strong, despite their losses. Nearly every shopkeeper we spoke to (15 of 17), including supporters of the BJP, said they could not see any benefit from demonetisation. In Vishwabharti Phata, off Kawad highway in Thane district, Patil runs the tiny Tanish Kirana Store, which is attached to her pakka house flanked by rice fields, a few hundred metres from the village centre. We visited at noon. Her sons, Harshad (11) and Tanish (6), were playing a game of marbles on the porch. Inside the store, half-empty jars lay scattered across empty shelves. Patil’s husband’s death in a motorbike accident in 2012 had forced her to close down the store. She reopened it two years ago, after having tried her hand at working in a chocolate factory. “I was earning Rs 6,000 a month, but was spending Rs 50 a day to travel to and fro. It made no sense,” she said. The shop had just begun to do well again when demonetisation hit and Patil’s income dwindled. Four months later, in March 2017, she was diagnosed with a spinal condition, and was forced to borrow Rs 20,000 from her brother for treatment. “I haven’t been able to pay him back yet,” she told IndiaSpend, adding that she has to incur further treatment-related expenses every two weeks. Lalita Patil and her sons Harshad and Tanish outside their home and the attached shop. Patil had reopened the store two years ago after her husband passed away in 2012. Her family of three is entirely dependent on the shop’s earnings. Patil’s shop would have enabled her to afford treatment were it not for demonetisation, she said. Her most regular patrons were local adivasis (tribals) employed by small businesses in the area. Hit by demonetisation, these businesses downed shutters and laid off workers, so Patil’s regular business disappeared. Since November 9, 2016, she has suffered 65% losses, Patil estimated. In conversations with IndiaSpend, 14 of the 17 store owners we revisited said they were facing losses, one more than in January 2017. Among these, 12 said their losses amounted to 50% or more, and eight said their businesses were now doing worse than 10 months ago. Three of the store owners who now admit losses had told IndiaSpend during our previous visit in January 2017 that their businesses had not been affected by demonetisation. None of the 17 revisited stores said earnings were now better than before November 8, 2016. Four kirana store owners said business had improved slightly by June 2016 but the gains had been quickly lost with the introduction of GST on July 1, 2017. “Business was improving before GST came in. Now any chances of profit have been completely ruined,” said Jagdish Chaudhari, a 23-year-old kirana store owner in Kupari Naka, Virar, a rural fringe of the Mumbai Metropolitan Region. In January 2017, Chaudhari’s brother Chaganlal, an avid BJP supporter, had said business had not been greatly affected by demonetisation. Now, the family told IndiaSpend, the shop’s losses amount to 50%. “Earlier, if the maximum retail price was Rs 10, companies would sell to us at a discounted rate of Rs 8 so we could earn Rs 2 in profit. Now with GST we sell at the same rate we buy. There are no savings, no profits–only losses,” Chaudhari said. 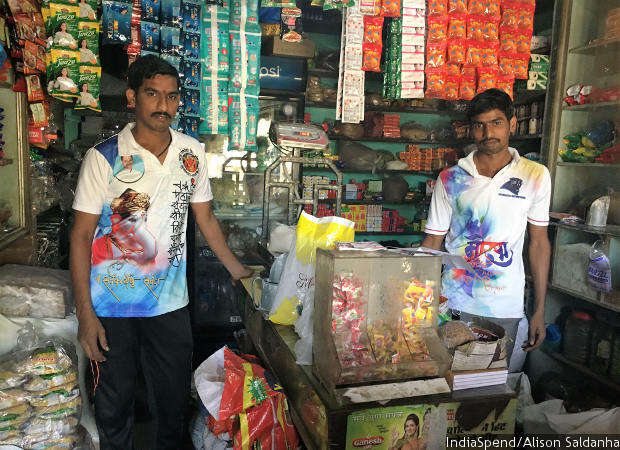 Jagdish Chaudhari of Poornima Kirana stores in Kupari Naka, Virar, said that since the introduction of GST in July, his shop’s profit margin had dropped and the inflow of customers had reduced by half with many buying goods in lesser quantities. All the kirana stores we revisited said GST had made consumer goods more expensive, leading to a drop in earnings of between 10% and 50%. The waning trickle of customers for an entire year has visibly dampened spirits–14 of the 17 store owners said they did not hope things would get better. 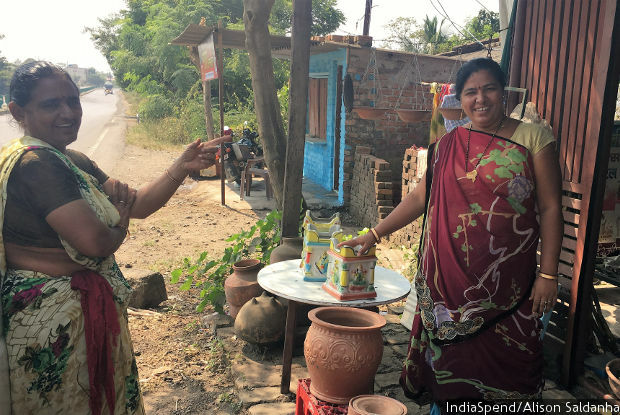 “Kabhi kabhi lagta hai ki dukaan band karke kheti mein hi kaam karna chahiye [sometimes I think it is better to shut the store and work on the farm],” said kirana store owner Megha Patil, 29, of Hivali village. What prevents her is the fact that farming is risky too–heavy rains in October this year washed away the bhindi (ladyfinger) crop on her land, causing losses of Rs 10,000-15,000. Patil mortgaged her gold to meet farm expenses, hoping to pay off the loan from the shop’s earnings. “Now we are struggling to even pay the interest of Rs 1,200,” she said, sitting in her 100-sq-ft home, a bamboo hut patched with mud, attached with which is her 50-sq-ft kirana store. Farmer and kirana-owner Megha Patil mortgages her gold every year to meet farm expenses. With heavy rains ruining the crop, and the shop in losses from demonetisation and GST, she says it is now difficult to pay the interest. “Who wants to get their hopes high? Anytime the government can decide anything it wants–we are left with no choice but to just deal with it,” said Narayan Chaudhari, a shopkeeper in the Ghodbunder area of Thane, who reported over 50% losses. “Only big businesses can survive in this climate,” he said, a common refrain across stores in the urbanised parts of Palghar, Thane and Mumbai districts. “Big supermarkets like D-Mart buy in such large quantities that companies can sell to them at even bigger discounts. So even if they offer goods to customers at amazing discounts they are still earning a profit. Obviously people will flock to them–how do we compete?” said 18-year-old Ashish Dharaviya, whose family-run kirana store in Borivali reported 50% losses over the last year. In the days after demonetisation, the government’s demonetisation narrative changed from an attack on “black money” and “fake currency” to the promise of a “cashless/digital” economy, as IndiaSpend reported on December 5, 2016. During our visit to kirana stores, we found that 12 of the 17 stores’ owners did not have a mobile wallet to offer customers a digital payment option. In January 2017, four of these 17 shopkeepers had owned digital wallets, and the number had gone up to five in 10 months. It was mainly shop owners in urbanised areas who chose to maintain this option. Only two of the 17, located in the densely populated areas of Vasai and Mumbai, used point of sale (PoS) machines, down from five in January 2017. Three shopkeepers had cancelled their request for PoS machines. “Running this shop on cash is itself so expensive now. Who’s going to bother keeping other options,” said Kumar of Kupari Naka. All shopkeepers using PoS machines and mobile wallets said customers prefer to pay by cash. In January 2017, more than half of the interviewed store owners (14 of 24) had said their stores were too small and sales too little in value to warrant cashless modes of payment. They had also said that like themselves, their customers were not educated or wealthy enough for such options, as IndiaSpend had reported. With the value of cash in circulation now restored to nearly 92%, about half, or eight of 17 kirana owners, now reported choosing cash because customers prefer it anyway, while the rest said these technologies were beyond their customers’ literacy levels. While digital payments have not seen an uptake, eight store owners, all located in urban areas, said they now accept and receive cheques as an alternative method of payment. In January 2017, only one shopkeeper had reported accepting or receiving cheques. “We get cheque payments but this too has reduced as compared to some months ago since cash flow is back to normal,” said Mahendra Chheda, a shopkeeper in Dahisar, Mumbai’s northernmost suburb, adding that he receives five to six cheques a month as payment from customers. Notably, all shopkeepers now reported being aware of cashless technologies, compared with 35% who were not previously. Despite this increased awareness, 16 of 17 kirana store owners did not report using banking services more than they earlier did. In fact, more than half the shopkeepers we met, in rural and semi-urban areas, reported using these services even more rarely as earnings have plummeted, hitting savings and investments. Nilesh Patil (right) runs Sadguru Krupa Stores in Kawad, currently in losses of over 50%. His joint family of nine members depend entirely on the shop’s income. 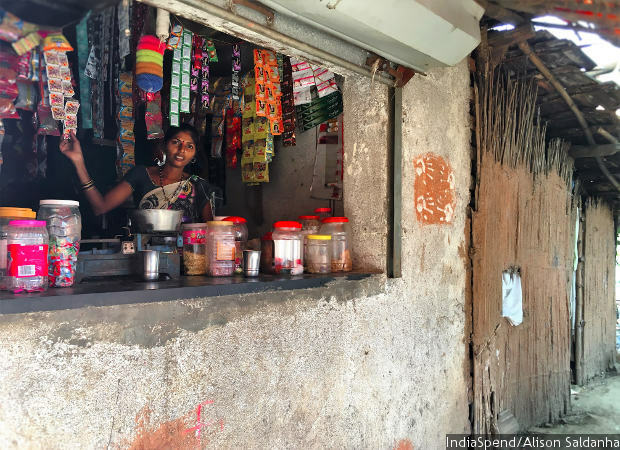 Off the Bhiwandi-Wada highway, kirana store owner Ambika Kumbhar said savings and investments aside, losses and inflation have hit her home budget. “Earlier we could make more food for the house because we could afford more. Now we make lesser. This is how we cope,” she said. While her store has now recovered some of the 75% losses it suffered in January 2017, it still suffers a 25% loss. The shop, which stays shut during the monsoon season, is the primary source of income for the family of potters, traditionally set on the lowest rung of the Maharashtrian Hindu caste order. They also sell a pot or two a month for Rs 50 to Rs 100, she said. Ambika Kumbhar runs Shree Swami Samarth kirana store which has recovered 50% of the losses reported in January 2017. After this, the store is now running at 25% loss. Ten of the 17 store owners we revisited continued to support the BJP and the Prime Minister. This is one fewer than in January. Among those who still support the BJP, six, including Kumbhar, cited village or community ties as their reason. Two said they had no choice since the opposition still does not offer a strong leader to replace Modi. However, in rural areas, fewer shopkeepers now support the BJP. “How can we support them after what they have done to us in the last one year? Modi made the rich richer, the poor poorer,” said Patil, the store owner from Hivali. She had previously supported demonetisation and the Prime Minister. “People are angry. First notebandi, then GST, now losses on the farm have ruined us. We are not as enthusiastic as before. The Shiv Sena has also been capitalising on this, rallying villagers against the BJP,” said Vasant Bohir, 55, another kirana store owner and resident of the village. Across the board, BJP supporters included, 90% of the store owners we revisited (15 of 17) said they failed to see the point of demonetisation, and that it had been of no use to them. Ten months ago, eight of these 17 shopkeepers, including Kamlakar Patil, had supported the government’s demonetisation decision. At that time, Patil had said he hoped demonetisation would weed out the black money circulating among the rich, and bring justice to the poor. “It may have been good for the government, but what good came of it for us? Nothing has changed except for our losses,” said shopkeeper Lalita Patil, a BJP supporter, back at Vishwabharti Phata. “Chalo, hume kuchh naya to dekhne mila [Well, at least we got to see something new],” said Kishan Chaudhary of Virar, also a BJP supporter, who reported losses of 40%. On October 30 and 31, 2017, IndiaSpend went out to retrace each of the 24 stores featured in its January 16, 2017, report on the impact of demonetisation on small retail stores. We were able to interview 17 store owners. Among the remaining seven, four stores had relocated to other parts of the Mumbai Metropolitan Region, closer to urban Mumbai and Thane, while the owners of three stores were absent when IndiaSpend visited. 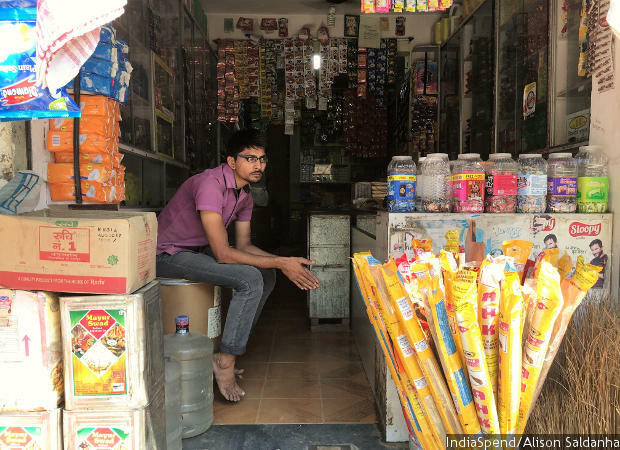 The seven kirana stores not included in our anniversary study of the impact of demonetisation on small retail stores are spread across rural, semi-urban and urban areas. They had previously reported losses ranging between 25% and 60%. Three store owners had said they supported the BJP, two that they did not vote, and one that he was undecided.